Marc Kuritz is the cheese. Daughter Dessa often pulls Mom Kathy and Dad together for a group hug, declaring herself The Cheese. Sometimes the dogs go along, nosing in, Sammi the big American bulldog and Ajax the elderly, pleading Lab mix. But the poorly kept family secret is that Marc is the cheese. Before the cheese, there was an early career in politics and public policy. Marc might say that his values continue to be served by helping collective human energy achieve constructive common purpose. He might not say that fifteen years in politics equipped him to deal with temper tantrums, sharing issues, and refusal to play well with others—in other words, to be a parent. Consulting to nonprofit entities followed. Marc specialized in needs assessments, program planning, design, evaluation, and resource development. In other words, helping well-intentioned people focus ever-scarce time, energy, and dollars in order to do better at doing good. Marc might admit that consulting was not like parenting only because the clients could fire you and they usually didn’t cry when they peed their pants. 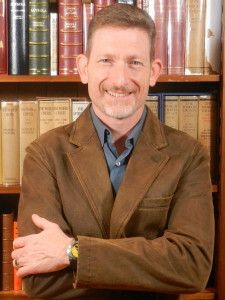 Today Marc is a rare-book seller, with an established presence in the antiquarian book trade and a worldwide clientele. Unlike children, good books stay where you put them, cultivate humility without humiliating you in public, and are patient while you try to figure them out. In time not allotted to working, parenting, and volunteering, Marc is a competitive fencer. Marc aspires to be a warrior poet, but he is just the cheese.